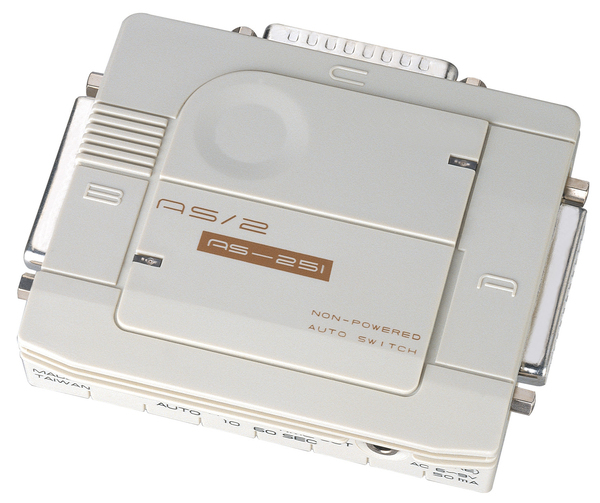 The AS-251S is an a Serial Auto Switch that will operate in two computers to one printer mode, called 2 to 1 mode. These switches operate in 2 to 1 mode without software drivers and deliver print jobs to the printer on a first come, first served basis. This means that if one computer is printing to the printer the other computer must wait for the Auto Switch to finish the current print job.